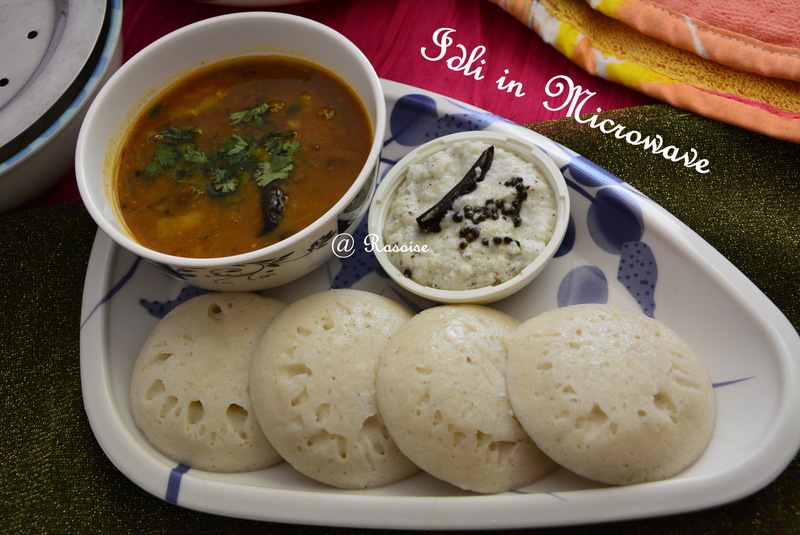 Idli is one of my favorite dish from South Indian cuisine. 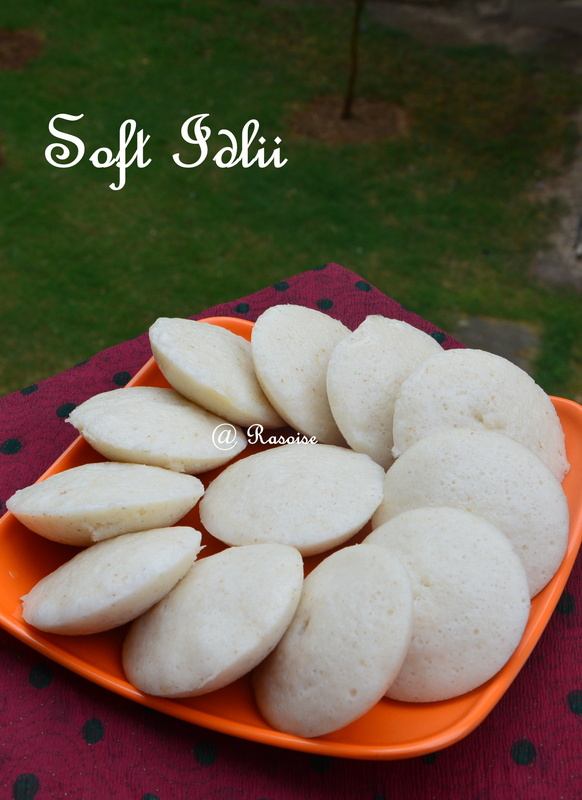 The most important aspect of idli is its softness. 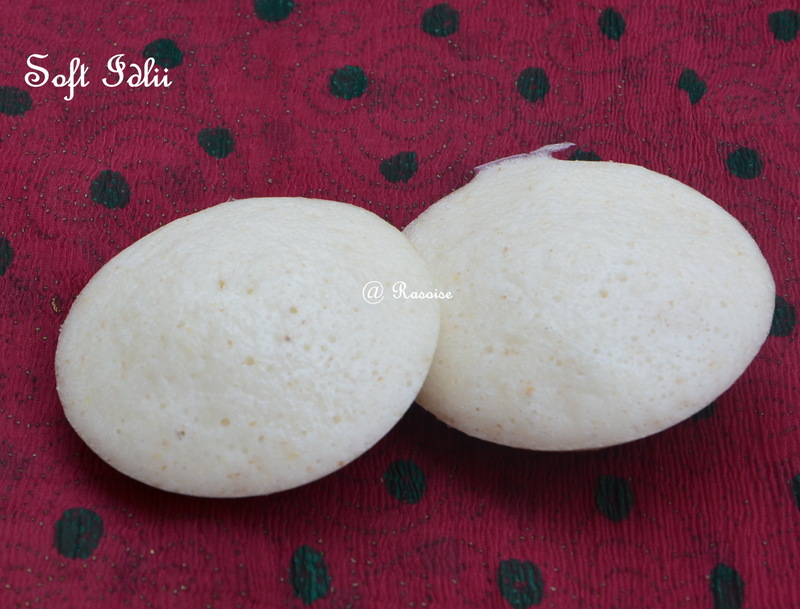 The Idlis made this Sunday turned out very soft and fluffy. To make Idli soft, batter plays an important role. 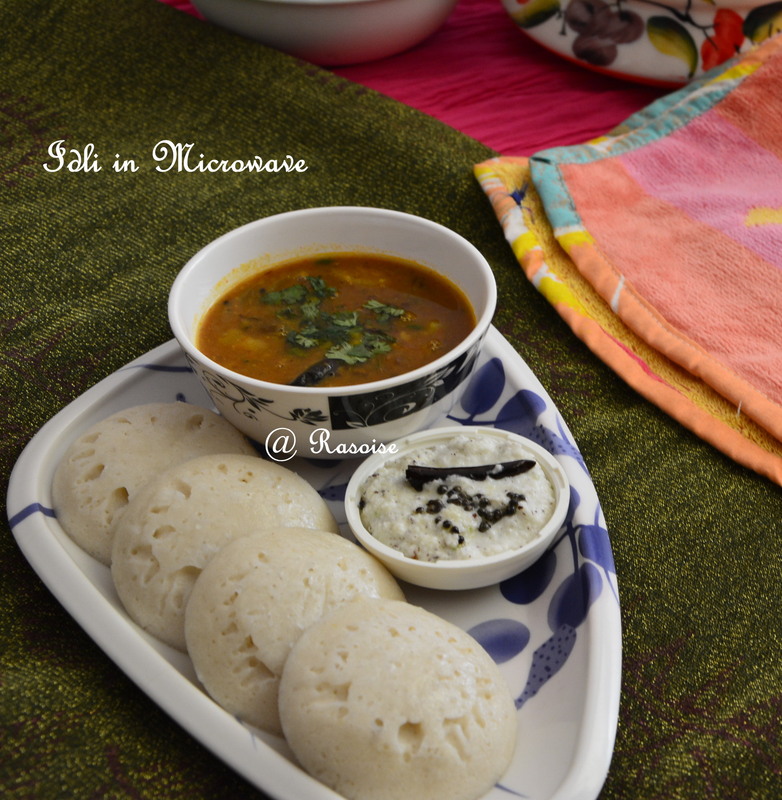 Idli can be served with Sambhar and Chutney. For morning breakfast, it can be served with chutney as well. Check dosa batter and dosa making recipe here. You can also try Idli in microwave. If you wish to make Idli on Sunday, process should start on Saturday. Soak par boiled rice, poha and rice together for at least five hours. Simultaneously, in another bowl soak urad dal and fenugreek seeds together for at least five hours. Grind the soaked rice into fine and fluffy paste adding some water. I used almost one cup water while grinding. Grind the soaked Urad Dal and fenugreek seeds into a fine and fluffy paste. Less water is required while grinding the dal. Total grinding of rice and dal took more than half hour. Mix both the batter and mix well. Add salt. Cover the batter and let it ferment for 10hours or overnight. After fermentation the batter will rise to double and bubble will appear on the batter. Grease the idli moulds. Pour the batter in the moulds, steam the idlis in a steamer. Steam for 10-12 mins or until the idlis are done. Insert a toothpick to check, if t comes out clean, its done. Usually, I make Idli in Idli steamer. 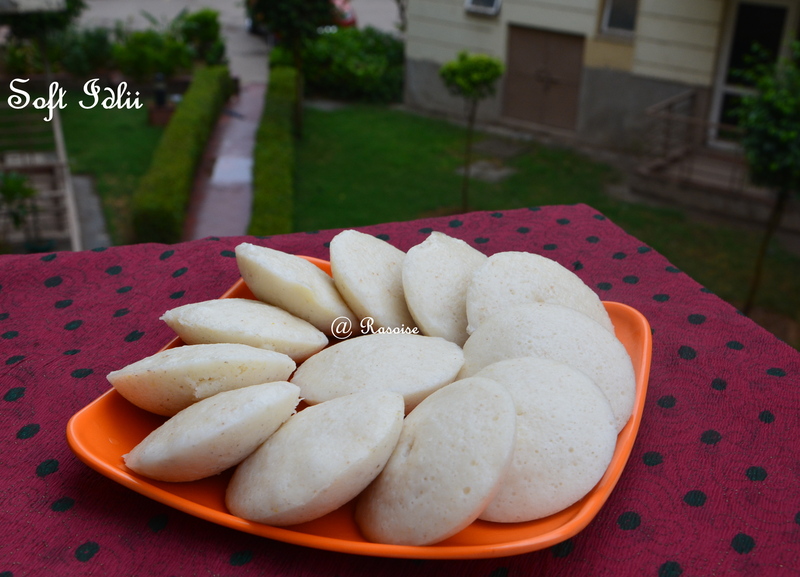 This time, I tried making in microwave friendly idli moulds. The result was little fluffy, but definitely soft idlis. Beat the batter. The batter should be of pouring consistency. Take the Microwave friendly Idli mould and apply oil in the idly dents. Fill the Idly dents with batter and Pour half glass water into the Idli steamer pot. Dosa is one dish you can find in every restaurant menu, a famous dish come from South India. I personally like Masala Dosa and Rawa Dosa. 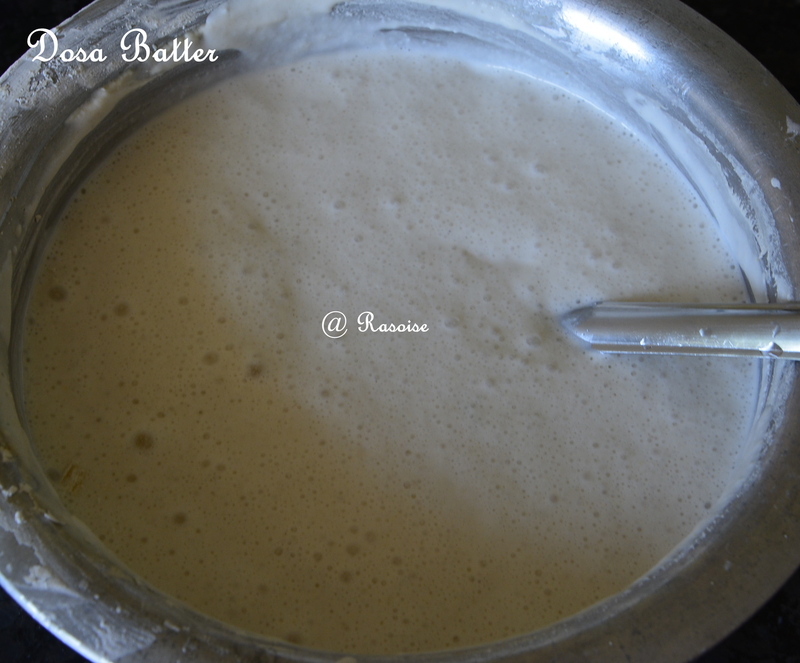 Dosa batter plays an important role in making successful Dosas. The main ingredients in dosa batter are rice, urad dal and fenugreek seeds. The batter should be fluffy and fermented enough to spread smoothly on the griddle. Earlier when I was residing in Mumbai, readymade dosa batter was available on almost every grocery store. Here in rajasthan, it is difficult to locate. Making dosa is a tedious task when you have to prepare dosa batter, potato filling, sambhar and chutney. So, I take up dosa making generally on Sunday. If you wish to make dosa on Sunday, process should start on Saturday. Soak par boiled rice and rice together for at least five hours.